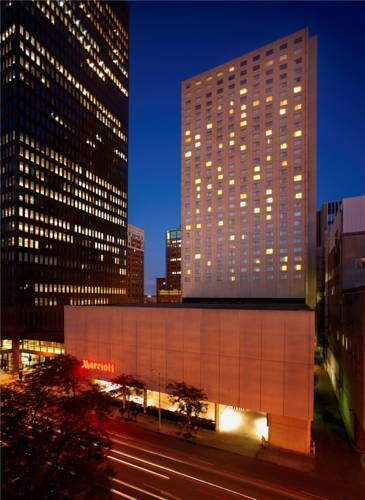 Experience comfort, convenience and style at Des Moines Marriott Downtown. Set in the vibrant downtown business district, our hotel places you near DSM Airport and offers a complimentary roundtrip shuttle. Walk to nearby shopping, dining and nightlife. Step into our luxurious hotel rooms and suites for a relaxing stay, featuring pampering bedding, stunning city views and deluxe amenities. Elsewhere in our hotel, we offer an indoor pool and modern fitness center. Enjoy our concierge and valet services, room service, a local area shuttle and complimentary Wi-Fi in all of our public spaces. Fuel up for a day of meetings at Rock River Grill and Tavern or stop by Mash+Marrow for cocktails. If you're planning a business or social event, our hotel boasts 25,000 square feet of event space and the largest ballroom in Des Moines, IA. Visit Iowa Events Center and Wells Fargo Arena just minutes from our hotel. We look forward to making your stay in downtown Des Moines, IA comfortable, rewarding and satisfying. Rock River Grill & Tavern: Browse the innovative menu of American cuisine at Rock River Grill & Tavern, our acclaimed downtown restaurant in Des Moines. Start your day enjoying our extensive breakfast buffet or join us on select days for our popular all-you-can-eat pasta bar. MASH + MARROW: Experience a modern twist on American classics at Mash + Marrow. Located in the Great Room of our hotel, our downtown Des Moines restaurant is the ideal place to sample seasonal cuisine or sip a handcrafted cocktail unwinding with friends and colleagues.